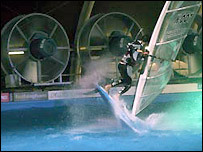 Daily concerts in the build-up to Christmas and new events such as indoor windsurfing are being considered to boost Millennium Stadium finances. 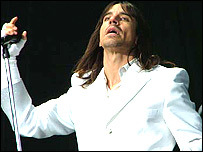 The stadium played host to the Red Hot Chili Peppers on Wednesday and management have said they intend to increase the number of events held at the Cardiff venue. Building the stadium has left the Welsh Rugby Union with a long-term £60m debt, but managers say the stadium is operating at a profit and want to raise its income through more events. Stadium Manager Paul Sergeant said: "I'd have events there 52 weeks a year." Stadium managers have been criticised for not holding enough money-spinning concerts at the city-centre venue, with few major rock acts appearing there since it opened in June 1999. 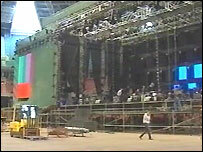 English club football's showpiece games, including the FA Cup final, will depart for the rebuilt Wembley after 2005. But Mr Sergeant, who worked at Wembley for 14 years before moving to the Millennium Stadium in May last year, said he plans to hold a greater quantity and range of events to turn the debt-ridden stadium into a commercial success. "We have a retractable roof and a moveable pitch, meaning we could stage something almost every day," he said. "We should be looking at staging things every day in busy periods like December. "When I was running Wembley Arena, in the 23 days up to Christmas Eve, we'd have 23 concerts. "The football returning to Wembley is an opportunity for us because it takes up time in April and May when we have turned people away in the past." As well as holding more concerts, stadium bosses are considering events such as beach parties, giant banquets and even indoor windsurfing, to bring in more income. Mr Sergeant said: "There's such an array of events in the market place. "Something I've looked at is indoor windsurfing where a large tank of water is brought into the stadium and giant fans create the wind." Few acts can match the 64,000 tickets sold for the Chili Peppers concert, but moveable 'sound curtains' which could turn the stadium into an arena for medium-sized acts with a temporary capacity of between 12,000 and 37,000, are being considered. Mr Sergeant added: "That's on the drawing board - the funding is in place and we are working on the technical side. "Major acts have to be booked a year-and-a-half in advance, but we are looking at how we sell the stadium to them. "We hadn't had a major concert for the best part of three years before the Stereophonics in December, but now we've got arguably the biggest band in the world." The stadium is now also acting as a promoter for many of its own events, meaning it pockets all profits made. Mr Sergeant said: "We now hold three types of event. "The first is where we act as a host to outside promoters' events - things like the FA Cup final and the Chili Peppers concert. "The second is where we are co-promoters and share the risk with smaller promoters who otherwise couldn't put an event on. "We did this with the British Supercross Championship last November. "Finally, we have begun to create and promote our own events such as the New Years' Eve school disco. "The risk is higher, but so is the reward." He added that the stadium was now operating at a profit, although its long-term debt was still in place. "We can't release this year's figures yet as they are still being audited, but we are making an operating profit," he said. "Our overheads are static, so the key to making more profits is putting more events on. "The debt is still in the 60s (millions) but new events are part of reducing it as are new business practices." 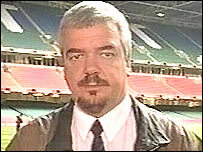 Tourism and leisure consultant Terry Stevens, who had previously been critical of the Millennium Stadium's reliance on international rugby, said the stadium had improved as a business in the last year. Dr Stevens added: "They have made huge strides - there is a different culture in its management. "They are now putting on their own events and have strong leadership. "In Wales, there is an absence of a promoter which can promote really big events, the Millennium Stadium is placed to step in and be that promoter."